The Allegheny Chapter is proud to announce the return of the “PITT Race- Allegheny Chapter Autocross Series”. Held at Pittsburgh International Race Complex in Wampum, Pa this low key series will consist of six (6) autocross sessions, with a start date of May 13 (immediately following the Allegheny Chapters “Introduction to Autocross” program). The Series first session starts at 12:00 pm. The remaining dates are; June 10, July 16, August 12, September 10 and October 7. All members of the Allegheny Chapter or Pitt Stop Mini are welcome to participate. The Autocross Series is open to all levels of experience. 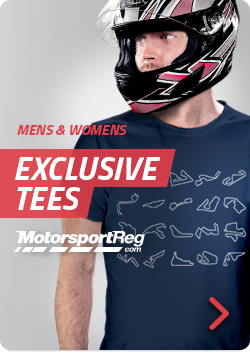 Registration is open on at motorsportreg.com. Cost for this introductory offer is only $240, but wait, as a BMW CCA member, you will recieve a 10% discount paid by the Allegheny Chapter and PITT Race has offered a BMWCCA Member Discount of $60. Total cost, with discounts is $156. Please note you must be a member of the BMW CCA to receive the discounts. The autocross series is open to all BMW CCA and Pitt Stop Mini members. You can register for the series or attend individual dates. Individual day cost $40 per person. Concluding the October 7th Autocross, times will be calculated and class winners will be determined. Participants must compete in at least three (3) of the six (6) Autocrosses to be eligible for awards. At the November, Allegheny Chapter social meeting, Series Awards will be presented to participants.